If you are a lover of DIY, you may frequently take up the job of painting the exterior of your house, deck, or fence yourself. You could choose to go for a brush/roller and get mediocre results or you could buy the best airless paint sprayer and transform your DIY work into a professional level job. A lot of people wrongly assume that DIY lovers want to save money and that is their sole purpose. In reality, a DIY paint job is also about fun and the sense of satisfaction when you finish the entire project yourself. In the following points, you will not only learn about the best airless paint sprayers out there through airless paint sprayer reviews but also get informed about how to make the right buying choice. If you want to skip the reading and get a quick summary of our favorite sprayers, I have attached a chart below dividing paint sprayers by their best uses. Reputation Of The Brand – Brands play an important role in the kind of sprayer you purchase. If you go for a good good airless paint sprayer brand, you would notice that your experience with the product is much better. Plus, your airless sprayer would be quite durable and long lasting because quality brands use good material.Often, you will notice that popular brands also have many reviews for you to make an educated decision about the best option. For instance, there are a lot of graco paint sprayer reviews and titan airless paint sprayer reviews as compared to local brands. Price – If you buy best airless paint sprayer, you would find it to be quite expensive. However, this sprayer would last you for a long time to come. Basically, if you desire various features, then you need to pay more. Basic airless sprayers with simple features would obviously cost a lot less.Are you going to paint commercially/professionally? Then you should be willing to spend a bit extra for your sprayer. Are you going to only take up odd paint jobs around the house and save a few precious bucks in the process? Then you could also do with a cheaper sprayer. Type Of Projects – If you are going to just spray the woodwork, furniture and the windows of the house, you could go for a handheld sprayer. These sprayers are lightweight and compact, and they don’t need much experience to use. Plus, you can also store them quite easily.However, if you are used to undertaking big projects, then you would do well going for the best paint sprayer. These sprayers have great paint sprayer reviews, are expensive, and come with high horsepower to give professional results. Accessories Available – If you get many accessories with the paint sprayer itself, you wouldn’t need to spend additional money to purchase them in the future. This is an important factor you should consider during cost analysis as well because a model might be expensive only because it comes with a large number of accessories. Make sure you are also reading about the airless paint sprayer reviews for the accessories when you make the purchase because you don’t want to spend so much money and end up with low quality accessories. Features – Features like ease of use, size, paint quality and thickness, pressure, speed and rate of paint, volume of the container, size of the nozzle, power source, digital control, and pressure sensors should also be considered. Different Spray Coverage – If you want medium spray coverage with this model, you can get it, and if you want just a light spray, you can get that as well because of the pressure knob offered with this model. Good For Large Areas – Magnum X5 has so many positive paint sprayer reviews because it can easily cover large areas with its 8 oz. storage, 515 reversible tip, and 25 feet long hose, allowing you to paint all the nooks and crannies with ease. Comes With DVD Guide – You might find some problems with the cleaning and assembly of the model but because of the DVD guide that comes with it, the work becomes quite easy to master. This airless paint spray is a great value and a good fit for smaller jobs. Adjustable spray pattern from 1 to 6 inches. Use with water or oil based paints. Good For Long Jobs – With its ⅝ HP motor with 3000 PSI capacity, 35 ft. hose, 0.33 GPM capability, and 515/211 reversible tip, long jobs can become a breeze with this model. It is particularly good for exterior applications. Portable and Easy To Use – Despite its heavy duty use, this model is still quite easy to use because it has a number of portable features like the swivel tip, 8” wheels for easy moving, and removable handle. Versatile Use – Ultimately, what makes this model such a delight to use is its versatility in painting both small and large areas and different kinds of surfaces. It also works well with a variety of materials and 0.017 of spray tip is supported by this model. 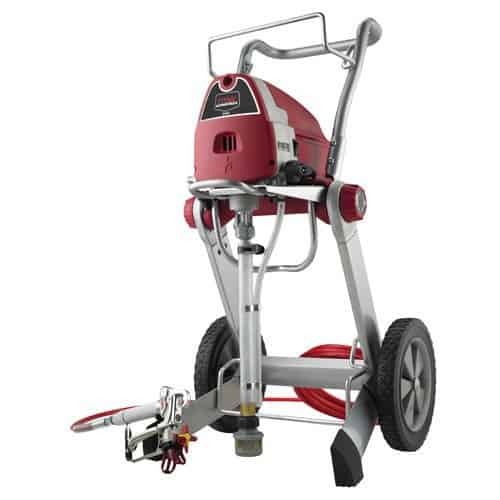 Heavy Duty – With its ¾ HP DC motor and pressure of 3000 PSI, this model is for those DIY home users who frequently undertake heavy duty projects, and thus need something durable. The garden hose can be used for connecting the adapter. Good Coverage – The coverage is amazing with this airless sprayer and no matter what the scale of your project is, you would be able to finish it in good time without any hassles. This includes exterior furniture, ceilings, decks, fences, exterior walls, and interiors walls. Practical Design – With a 0.34 GPM rate and a maximum capacity of 5 gallon, the Magnum ProX7 is practically designed. The best thing about it is the fact that despite its heavy duty use, it is still fairly lightweight. Comes With Instruction DVD – Even though the setup and use is quite easy with this airless sprayer, HomeRight has still included an instruction DVD with the model to ensure you know how everything works. Ideal For Both Interior and Exterior – With 515 reversible tip, 2800 PSI and and 0.2 GPM speed, this model is ideal for painting both the exterior and interior of your house. Many airless paint sprayer reviews have mentioned how it is particularly good for interior doors. Lightweight – At 19 lbs., the model is quite lightweight and it also has a 25 ft long hose to ensure that reaching pesky corners is quite easy. Wagner is known for its professional models and though, it may be a bit difficult on the pocket, you simply cannot go wrong with this best airless paint sprayer if you are looking for professional results. Ideal For Latex Paints – You don’t have to thin your latex paints when you are painting using the Pro Coat from Wagner. This is because of the piston electric pump used in this model and its amazing ability to spray at the rate of 0.2 GPM. 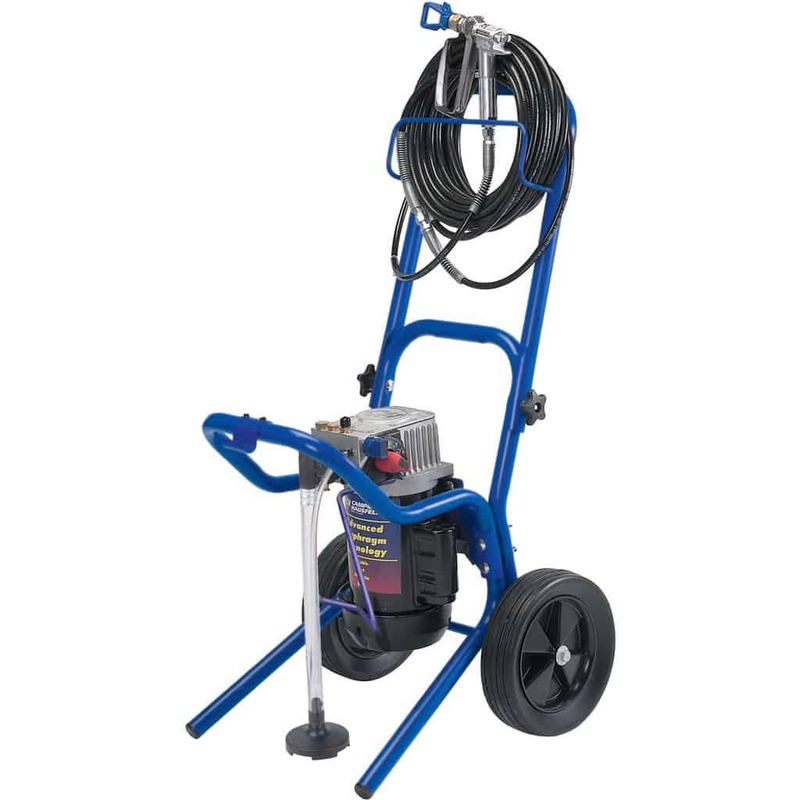 Professional Features – Some professional features of this model include the adjustable pressure control mechanism for controlling overspray, 25 ft. hose, 0.015 tip with gun swivel, ½ HP motor, and 2,800 PSI capacity. Good For Large Sprays – If you frequently undertake large scale projects where time is essential and you don’t want to waste paint, you should invest in this model. Double Guns For Large Surface Area Coverage – The best feature of this airless sprayer is its double gun capability which means that you can cover a large amount of area using this model and finish extended projects in a short time. Good For Heavy Coats – Because of the design and manufacturing superiority of this model from Campbell Hausfeld, you can use a variety of paints and get quite a heavy coat without working too hard for it. Plus, the finish is quite good. 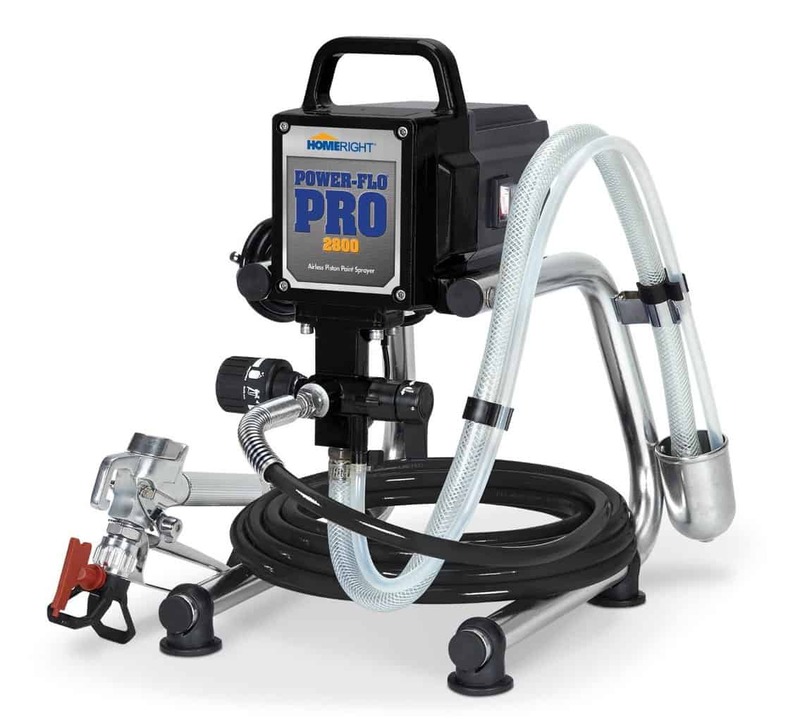 Professional Features – The professional features include the 1 HP pump with 0.44 GPM capability, 0.015 to 0.019 max tip size, 50 ft hose, and additional safety due to lack of compressor. Collapsible Cart – The model is amazingly portable as it comes with a cart that is collapsible. The hose which is 25 ft. long further adds to the portability and makes it easy to move around as you paint different areas. Ideal For Extended Jobs – The ⅝ HP motor offers 3000 PSI and the maximum tip size of 0.017 which ensures that your extended jobs wouldn’t only be finished in record time but you will also get great efficiency. Easy To Clean and Maintain – You don’t need to learn to much on how to use this airless sprayer and its maintenance is quite a breeze as well. The instructions that come with the model are quite simple to follow. Handheld And Portable – This airless sprayer is extremely portable and lightweight, and it can be used with one hand as well. Plus, its no-fuss assembly further adds to its ease of use and you would be able to master it in a short time. Accessories Included – The reason why the TrueCoat II has so many professional paint sprayer reviews is because in the price, it also includes some handy accessories such as the shoulder strap and carrying case which make painting quite easy for the home user. Versatile Device – This is a versatile device with 32 oz. capacity and two reversible tips (narrow and wide), with an additional 4 oz. pump armor for storage. Fairly Priced – Despite the amazing variety of features that the models of Graco are equipped with, they are still quite affordable and easy on the pocket of a DIY home user. Good Reputation – The brand is considered to be the last word in the industry because it manufactures the best paint sprayer and a long standing reputation of manufacturing quality products. Professional and Home Use – The models manufactured by Graco are ideal for both professional and home use. Recommended Models – Some top models include Graco Magnum 262800 X5, Graco TrueCoat II Paint Sprayer, and Graco Magnum ProX7. Meant For Professionals – This brand makes models that would appeal most to commercial and professional contractors who undertake extended jobs that must be finished quickly. Expensive Models – The models might be slightly expensive for the average home user but that is only because Wagner equips all the models with some amazing features that are quite useful. Good Power – The power of the motor of Wagner models, combined with max tip size, PSI and GPM ensures that large areas are covered in record time. Recommended Models – Some Wagner models with excellent paint sprayer reviews include Wagner PSI Airless Twin Stroke and Wagner Pro Coat Airless Sprayer. Low and High Budgets – Titan primarily caters to those people who have a big budget because its models have some high end features in them but this doesn’t mean low budget users are left high and dry. Professional Features – There are some excellent professional features offered by this brand like collapsible cart, good horsepower in the motor, decent GPM, and amazing PSI, all of which would be useful for contractors. Recommended Models – Some recommended models from Titan include Titan Advantage 200 Airless Paint Sprayer, Titan Advantage 100, and Titan 440 Impact Airless Sprayer. 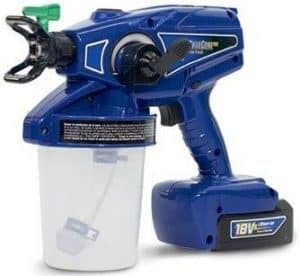 Innovation and Practicality – With innovative and practical features like double guns, this brand sets itself apart from others with its models and this is the reason why it has so many positive airless paint sprayer reviews. Affordable Pricing – The pricing of its models are still quite affordable, considering the variety of features that are packed in. Good Coverage – Large projects where the sprayer has to be used for extended duration are the reason why the motor is so strong in Campbell Hausfeld models. Recommended Models – Some recommended models from this brand include Campbell Hausfeld Airless Sprayer with Quadraflow Spray Gun and Campbell Hausfeld PS290D. Easy To Use – Because of the portable nature of the sprayers from this brand, customers who are novices at airless painting can also use them quite easily. Good For Thicker Paints – For thicker paints like latex, users can use Black and Decker sprayers with ease and they don’t even have to thin the paint to get professional looking results. Recommended Models – Some recommended models from Black and Decker include Black & Decker BDPS200 and Black & Decker BDPS600K . Even an average airless paint sprayer is quite different from the best home paint sprayer because of its mechanism. This spraying device uses a hose so that paint can be sprayed at high pressure. The spray gun has a hole at the front through which the paint comes out and the nozzle on top of the hole ensures you get a great finish from your best rated airless paint sprayer. The job of the nozzle is for breaking the paint and transforming your DIY job into professional quality. Pressure and Nozzle Tip – Fluid to flow resistance is a big issue when you are using top rated paint sprayers. This is why the paint is high pressure in nature so that it can overcome that resistance. An important factor you should know about is the paint flow rate. This factor is influenced by the tip of your airless sprayer’s nozzle and the pressure that your model offers you. 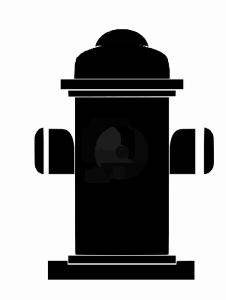 Depending on the kind of project you have undertaken, your nozzle would also help to shape the pattern of the spray. When you read airless paint sprayer reviews, you will notice that reviewers do not mention the use of compressed air. This air breaks up the paint (which is liquid) in air sprayers. In an airless sprayer, however, pressure ensures that the liquid is broken up into smaller droplets. Pneumatic, Hydraulic or Electric – In paint sprayer reviews of top models, you will mostly come across three kinds of motors that run the entire airless paint mechanism. These are hydraulic systems (water driven), pneumatic systems (air driven) and electric systems (motors running on electricity). If there is a large surface to cover, like a deck, you need to paint a large area quickly but you don’t want to worry about overspraying. An airless spraying system takes care of this problem for you. Generally, the power you will get with any of the systems mentioned above would make your job a lot easier. You will quickly get a coating of even and thick paint, and there would be no worries of redoing your job. 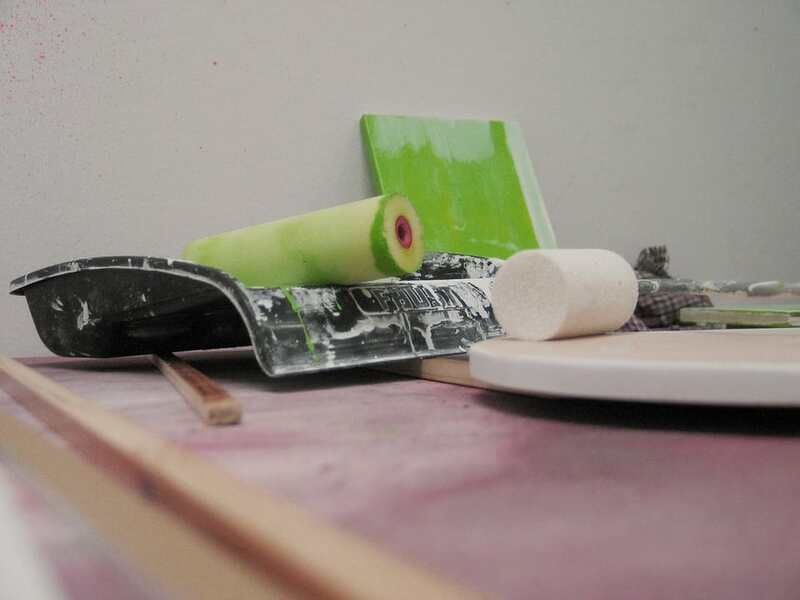 Reaching Nooks and Crannies – If you have undertaken a painting project with rudimentary tools like brushes or rollers before, you understand how difficult it is to reach those pesky corners. If you stop or change the direction of the brush, you will get an uneven and unprofessional looking job. With an airless sprayer, however, you can easily reach those nooks and crannies that are so hard to paint with other paint tools. This simple equipment would also help you cover surfaces that are irregular or inaccessible (for instance, cracks and crevices). With average masking, you can finish your work professionally. Sizes Available – The best paint sprayer for the money would come in multiple sizes. A lot of people who are DIYers like you choose to have a variety of sizes in their arsenal. The biggest benefit of this is not just practicality and ease of use but also better results. For instance, if you are a novice with airless sprayers, you can go for the smaller one because it is handy and lightweight. However, if you have a massive job and are a professional, you should choose the large airless sprayers for finishing the job faster and getting better results. Even the best airless paint sprayer comes with its own set of pros and cons. Despite this, contractors and professionals still choose to go with airless paint sprayers because the pros far outweigh the cons. Even so, you should make an informed decision by choosing what works best for you. Lower Cost – When you hire professionals for a paint job, you end up paying a lot of money for labor cost and their services. However, by simply investing in the best airless paint sprayer for the money, you can end up relying on just yourself for your paint projects. You would also be saving a ton of money overtime and would never need to hire professionals ever again. Fast – Not only is availability with airless sprayers quite simple because of the advent of online stores and manufacturer websites, you can also save some time on your projects. Because of the mechanism of these airless sprayers, the job doesn’t take too long to finish. It is a lot quicker than using a brush or roller and there is little rework needed because of the results. 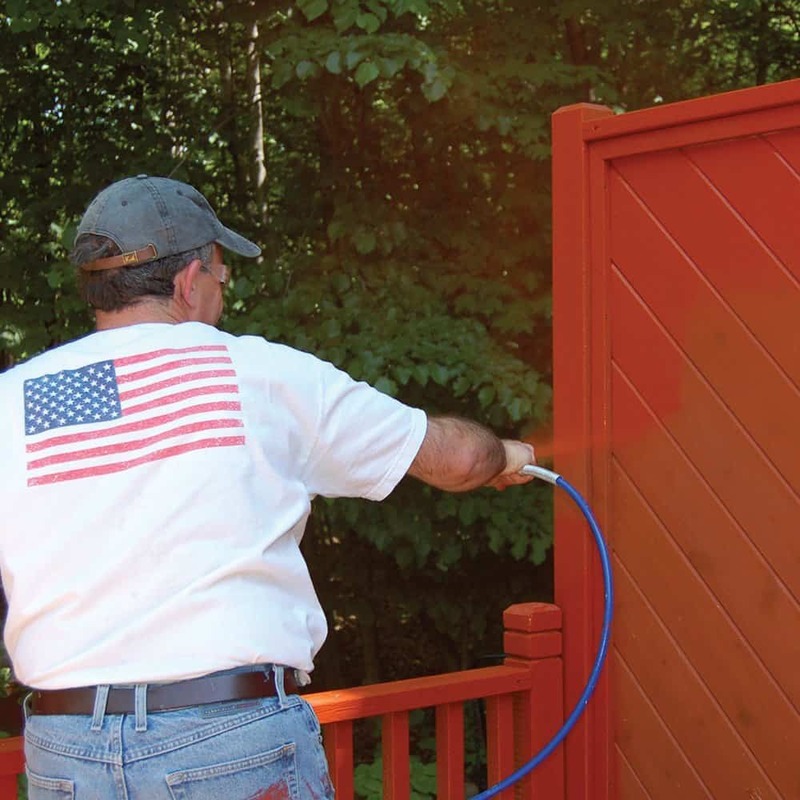 Good Quality Results – For people who are not experienced at painting their fence or deck, achieving good quality results is fairly simple with an airless sprayer. This is because this tool is meant to be used by novices. It has a quick learning curve and you will notice that surfaces that were previously irregular and corners that were hard to reach are easy to paint with a top rated airless paint sprayer. You get a professional finish with this tool. Versatile Applications – In an airless sprayer, different kinds of paints can be used. You can play with the viscosity and swap paints, depending on the kind of job you have undertaken. This adds a lot of versatility to this tool. For instance, the best airless paint sprayers work for both the exterior and interior of your home. They also give good results for large scale and small scale jobs. From woodwork to ceilings, an airless sprayer will stay with you for a long time. Simple Thinning – Because a good quality airless sprayer is equipped to handle different kinds of paints with varying thickness, you don’t have to worry about thinning the paint before you use it. Even so, if you wish to dilute it down for better results, you will find a chart provided by the manufacturer, informing you about the steps you should take. Overspray Problem With Cheap Models – Overspraying is a big problem with models that are cheap. This is why you should always buy the best airless paint sprayer with great paint sprayer reviews. In overspraying, close to 40% of the paint is lost because it gets into the air, the items around the paint side, and sticks everywhere. If you have furniture and you don’t cover it beforehand, it could get ruined. Overspraying doesn’t happen as much with the HVLP paint sprayers. Difficult Maintenance and Cleaning – Different parts of an airless spraying mechanism need to be kept clean at all times. This includes the pump of the sprayer, the spray gun, the filter and also the hose. Periodic replacement of the filter is recommended to maintain the quality of results. Moreover, the maintenance schedule varies with the kind of paint you use. For instance, if you are using oil-based paints, you need to clean your airless sprayer with mineral spirits. 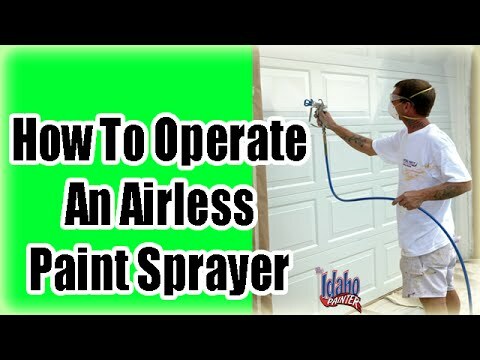 Using An Airless Paint Sprayer. Paint Sprayer Instructions. How to use a Titan Sprayer. The best airless paint sprayer for home use is simple to use which is the main reason why novices who are undertaking their first enough project would find it easy to operate. In order to make a great use of your airless sprayer, you need to start by getting all the paints and tools on one side, then cover the entire area with a newspaper so that there is no overspraying on your furniture and plants. Make sure you are wearing gloves and your hair is covered to ensure that none of the paint sticks to your hair. It is recommended to wear old clothes you wouldn’t mind getting some paint on. Read Manufacturer’s Instructions – Always start by reading the entire manual that comes with the sprayer. Every sprayer has some unique features and attributes and by reading the manual beforehand, you would know how to use the airless sprayer. Your manufacturer might also have special safety instructions, depending on whether you are undertaking an indoor project or an outdoor project. 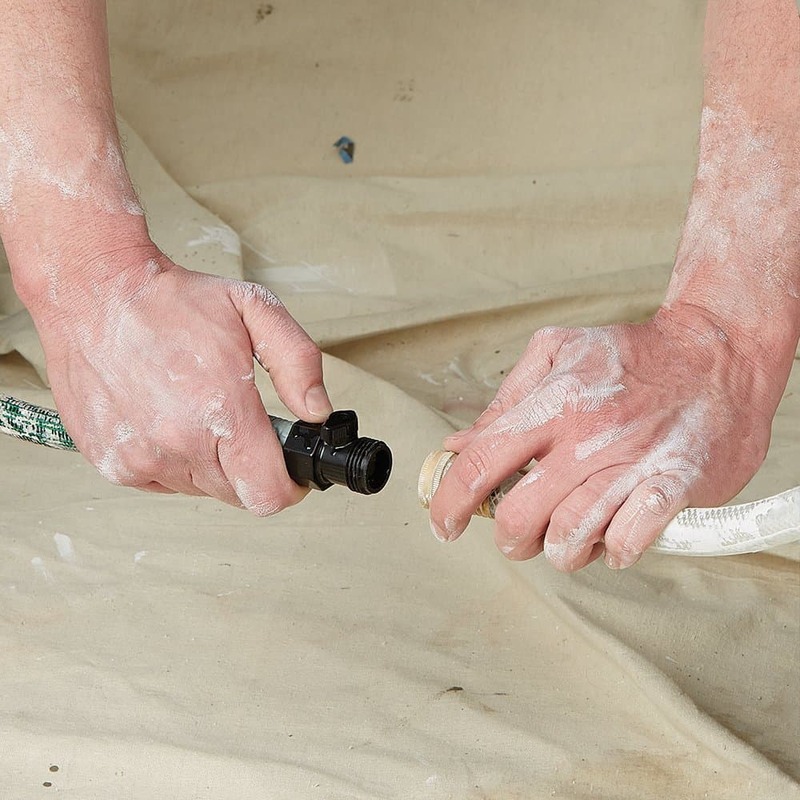 Practice Using The Gun With Water – The first thing you need to do is establish some control over the spray gun. For this, it is best to start with some water in the container and nothing else. You would know the exact instructions of spraying, how to press the trigger, how to direct it to the surface, and how to get an even coating by reading the manual. Fill With Paint And Assemble – After you have practiced, start by filling the container with the paint. You can choose to thin it, if your project needs. Again, follow the manual to ensure that you have assembled all the parts of your airless sprayer properly. This includes the hose, the gun, the spray tip, and the model’s spray guard. 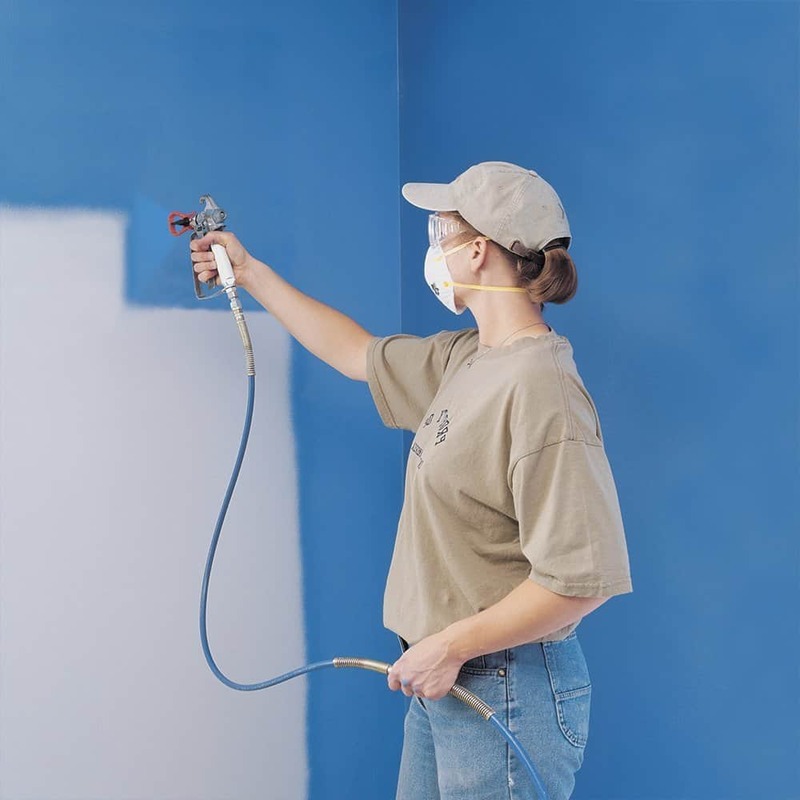 Paint The Surface – Start by keeping a distance of at least 10 inches between the tip of the sprayer and the surface. Keep your hand slightly bent and end with a flourish or stroke to ensure a smooth and professional finish. For the sake of uniformity, half an overlap while spraying the paint can lead to good results. Paint The Crevices and Corners – For the corners, you need to direct the tip of your airless sprayer exactly at the point you wish to cover. Keep your hand extremely steady and reach the corners for an even finish. For crevices, you can choose to spray at an angle to get the best coverage. If you have uneven surface somewhere, you can follow the same procedure as well. Clean Up – Before packing the airless sprayer up, make sure you clean all the parts individually as per manufacturer’s instructions. 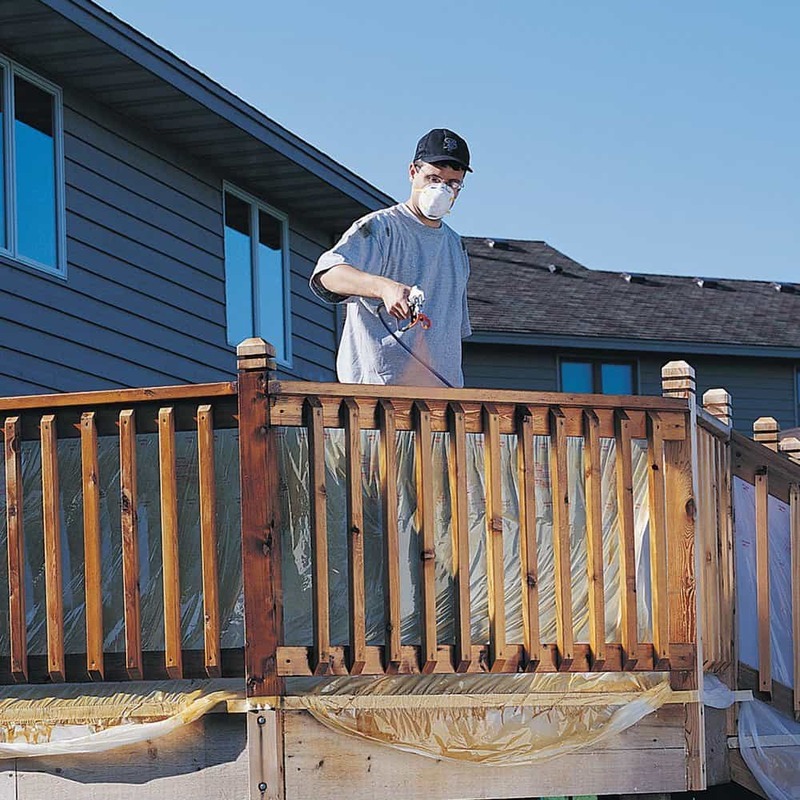 Don’t Forget To Practice – If you are a first timer with an airless sprayer, you need a lot of practice before you can start painting your deck, ceiling or even your cabinets. Always start with some water and then move up from there. See, the paint you purchase for your projects is quite costly and you don’t want to waste it. All you need is some control on the sprayer. The amount of distance you should keep between the sprayer and the surface should come from instinct and you can only achieve it through practice. Also, start with smaller projects. Understand The Relationship Between GPM and PSI – There are some people who believe that by simply going for an airless sprayer with great horsepower and gallons per minute (GPM). Of course, models that have a higher Pounds per sq. inch (PSI) rate and horsepower would fair better than others but the bigger question is – would the flow rate be facilitated by the horsepower of the engine? If the answer is no, then there is no point in spending additional bucks on such a model. This is why experts believes that people should understand how these sprayers work before they make a purchase. Choose The Right Tip Size – The size of the tip of the sprayer is always mentioned in the product specifications. It indicates the highest size of tip that you can use with the sprayer while still getting a nice spray pattern. The kind of coating you are spraying for your project would also be influenced by the tip size of your airless sprayer. The coating would be atomized inside the sprayer and this too is influenced by the size of the tip you have chosen in your model. If you are looking for much better control with the tip, try to look for a model that comes with pressure controls. Buy During Sale Season To Remove Price From The Equation – It is common to fall in love with a model that has amazing airless sprayer reviews, only to find that it is way out of your budget. For this reason, you should either keep the price in mind when you make your final list or you should make your purchase during the sale season. Online sites offer massive discounts during sales and you can actually end up saving as much as 50% of your money if you simply wait for this season to arrive and make your purchase then. When you set out to buy airless paint sprayer, you have two options to go for – you can go to a local store or you can shop online. Going to a local store would mean that you get the sprayer in your hand within a day. However, you would not be able to enjoy a wide variety of products. Same Day Delivery – Sites like Amazon offer you the option of getting your airless sprayer on the same day of ordering it. You can pay a little bit extra and get it in your hands in a short time. This point is important because not a lot of people know about this and end up making their purchase from local stores for that reason. You can also look towards manufacturer’s website for buying the best cheap airless paint sprayer where, apart from a good delivery date, you will enjoy several other perks. Sale and Discount – Local stores do not offer many discounts on the MRP and more often than not, you end up paying the full price. Why do that when you can shop on online sites and get a variety of amazing discounts. 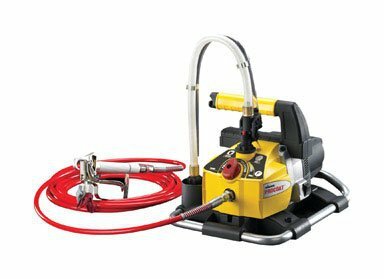 If you choose to make your purchase during the holiday season or end of the season, you can also buy your airless paint sprayer for sale at a lower cost. So, if there is a model that you love but seems too expensive, you can finally get your hands on it if you choose to shop online instead of your local store. First Hand Reviews – Local stores have local brands but if you are going to purchase a good model, you might as well buy the best paint sprayer that would be an investment for you. To make the decision about the best choice, you can read airless paint sprayer reviews on online sites. These reviewers are left by customers who have actually used the model and are sharing their experience with it. In short, these are unbiased reviews from fellow DIYers like yourself. By going through these reviews, you would be able to make the most informed buying decision. Variety Of Options – Finally, a local store can never beat the sheer variety you will get at an online store. Sites like Amazon have a massive number of brands to choose from. Some of the sellers on Amazon and similar websites are the official stores, so you also get the added warranty on these products. Plus, you can find all your shortlisted items on Amazon and you would not have to make any compromises. If you have a set brand in your mind, you can visit the manufacturer’s website and get all these benefits. To make things simple, I have divided the following sections into various types of paint sprayers based on the needs of the person. Feel free to look at the bullets below and find the best sprayer to fit your needs. Besides this guide, it is important to read online reviews to get an idea of what other customers have to say. 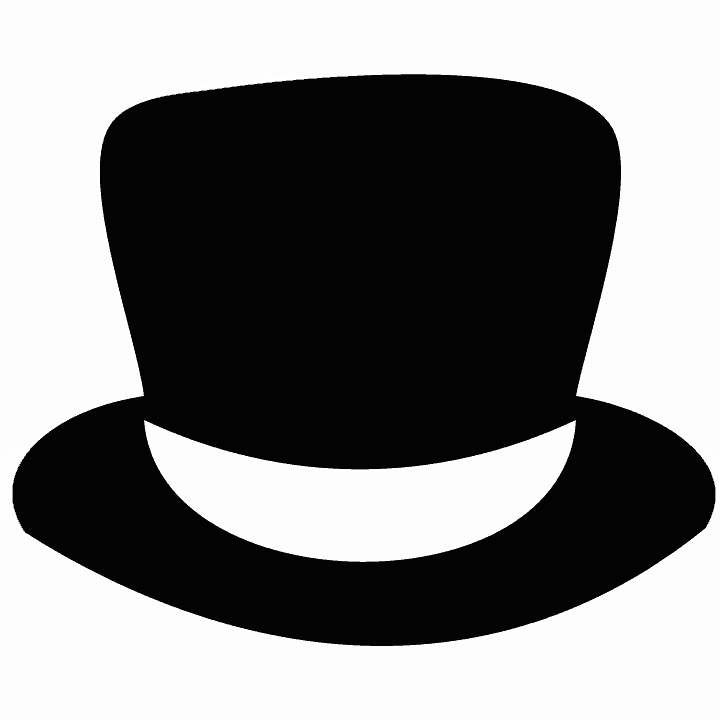 Any of the buttons on this site can be a useful guide to help you look through Amazon reviews and get an idea of all the things that people say both good and bad about various models. Many people that are looking to find inexpensive paint guns and sprayer do so to have one for a multitude of jobs. I have several low-cost sprayers that I use for simple things that I may paint at school or home. If you are painting small items or just looking for a general sprayer to have “just in case” here are my picks for some of the best inexpensive sprayers. This is one of the best paint sprayers money can buy. It offers a powerful two-stage turbine that can spray a variety of different materials, including latex, stains, and lacquers. It has a variable air pressure, allowing you to have more control over the paint. You can extend your reach with a 20-foot high hose, and also select between three different spray patterns. This is also a great paint sprayer. It has a 2800 PSI electric piston pump and a ½ HP motor. It can spray up to a full gallon of paint in just five minutes, and also allows you to spray paints, latex, stains, and lacquers. It has a 25-foot hose, and a handle that makes it easy to transport. It is priced right around $190, and certain sites even allow you to get free shipping- meaning that the entire price would still be under your $200 budget! For those looking to save money while getting a decent paint sprayer, Black & Decker makes a very useful beginner’s model. It is ideal if you have a thin paint or stain. It is high volume and low pressure. It allows you to speed up your paint time by about 4 times when comparing it with brushes and rollers. You can rotate the tip to get the desired effect, and you can also use a 20-foot air hose to extend your reach if necessary. While I have used all of these on my own at one time or another, my “go to” paint sprayer among this group is the Wagner Control Spray Max HVLP. If you take a look at the picture on the left, this is just one of the many projects that I have recently used my Wagner Spray Max to paint. Here is a more in-depth review of the Wagner Spray Max. different products, and they always stand behind those products. The Wagner Spray Max is one of the better paint sprayers on the market, especially if you are looking for the best electric paint sprayer. 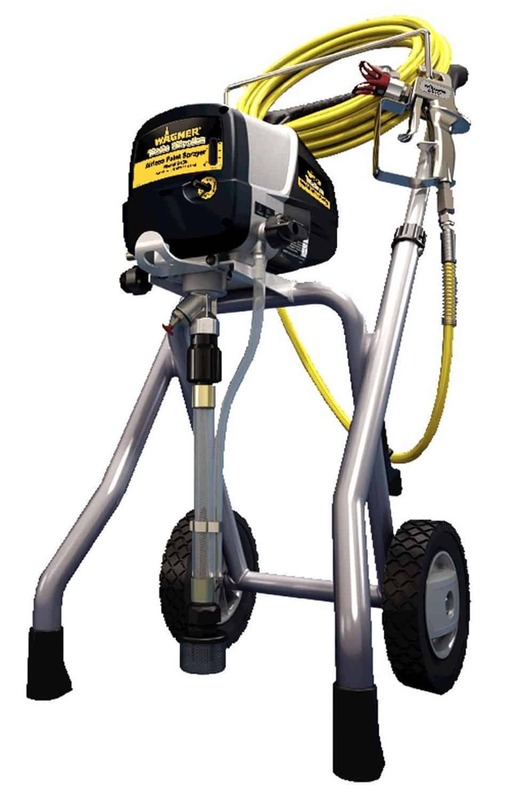 More and more people are going away from the conventional paint sprayers that use compressed air and moving to the airless paint sprayers, like this one. Here are a few of the reasons why I love the Wagner Control Spray Max HVLP. As you can see, there are a few reasons why people love this model and consider it to be the best electric paint sprayer on the market! Now, we can take a look at what people have had to say about the Wagner Control Spray Max. One consumer stated that it was the best electric paint sprayer they have ever tried before. I must agree with them because I have used it several times and have never really had a problem with it. Most people find it to be easy to use, and also a great option when it comes to beginners. It is high volume, low pressure, and offers much more control than other sprayers you may have in mind. Finally, we should consider your options when it comes to buying the Spray Max. Most people will turn to the internet when it comes to buying their paint sprayer. This is because it helps to save them time and money. Another thing that you will be able to do if you choose to shop online is to compare prices from one retailer to the next. If you buy locally, you will be limited to only a few of the hardware stores and paint stores in your area. This limitation could cause you to pay more if you aren’t careful. When it comes down to it, you have to consider the fact that Wagner offers a high-end product. 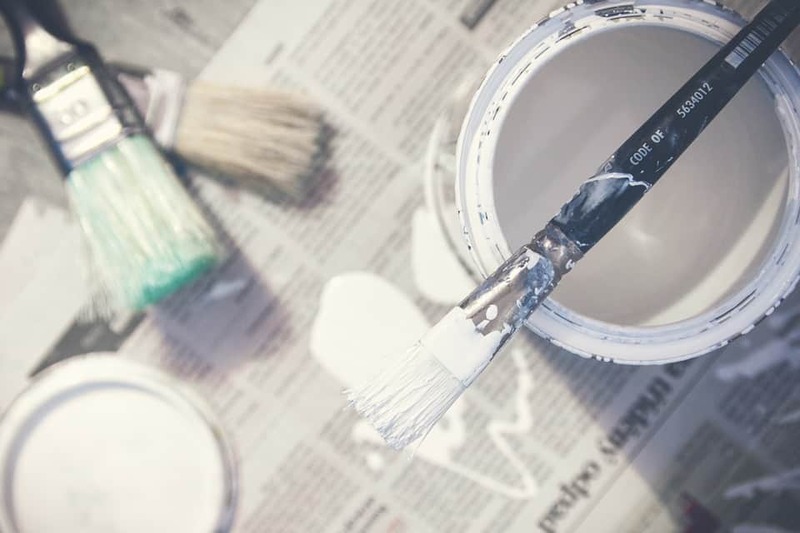 They offer economical approaches to painting that help to save you time and money, and they know that your money is valuable, so they price their products just right. You will find that this particular electric paint sprayer is one of the best on the market, and it is easy to use and convenient. It is easy to see why people call it the best electric paint sprayer. If you are interested in learning about what more people have to say about this product, please click the button below for more reviews via Amazon.com. One thing that makes life easier for those, especially those who work on attics, roofs or other hard to reach areas is using a cordless paint sprayer. While cordless paint sprayers generally don’t have the power of traditional electric paint sprayers, they are very handy for those who are not in a shop setting or who may be doing outside projects. Because I work mainly inside a classroom and in an auto tech shop all day, I let one of my good buddies give his opinion on the best cordless paint sprayer. 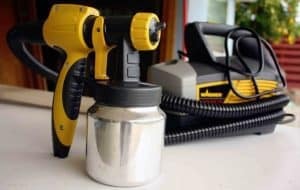 My friend Zach Heap has worked as a handyman/ contractor for more years then he would like to admit, here is his take on the best cordless paint sprayer. decided to go with the Graco TrueCoat Pro II Cordless after I got to try it out at a home remodel trade show. 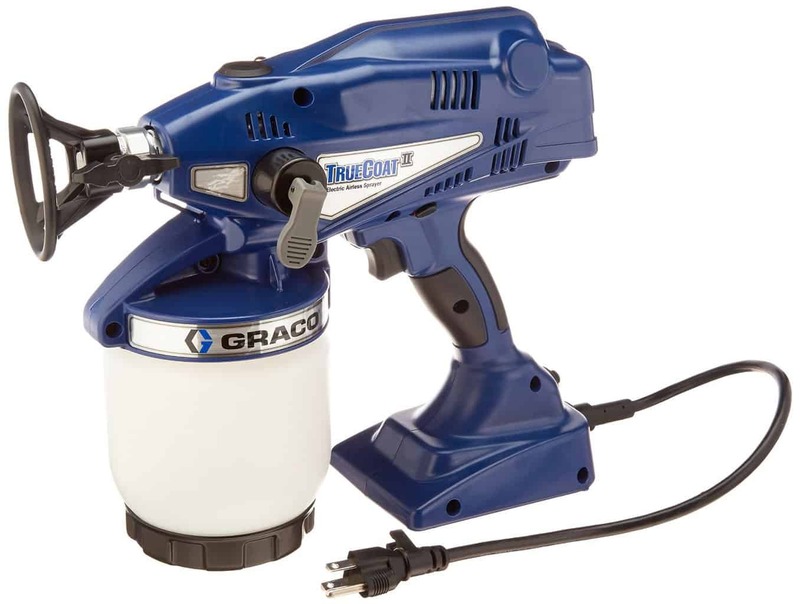 The Graco TrueCoat Pro II Cordless is a handheld paint sprayer that can be used for a variety of different projects. The ProControl pressure control system is specially designed to allow you to spray in multiple applications. It comes with a lithium-ion cell battery which will last longer than traditional batteries. Improved mobility and paint performance – Before I got the Graco TrueCoat Pro II, I used paint sprayers that needed to be plugged in. Using a cordless paint sprayer increases my mobility and allows me to complete more projects. More money for my business – Having a cordless spray painter has saved me a ton of time and allowed me to take on additional projects. I have made more money painting this year than I have ever made in the past. Long battery life for big projects– I used to be hesitant about cordless paint sprayers because I didn’t want to have to recharge during the middle of projects. If I am waiting for the paint sprayer to charge during a remodel, I am wasting valuable time. I was very surprised at how long the battery life was. This allowed me to work on projects for hours without having to worry about taking a break and charging the battery. Good customer service– When the paint sprayer first arrived, I noticed that the instruction manual was missing. Graco apologized for the incident and sent me the instruction manual immediately. Happy clientele– Even one of my clients noticed how smooth and evenly the paint was applied. I loved the fact that the paint sprayer has a high quality of application. This makes the paint look crisp and clean versus bumpy and lumpy. The high quality of application also allowed me to save money on paint. I no longer have to worry about getting the most expensive paint to make a room look good. 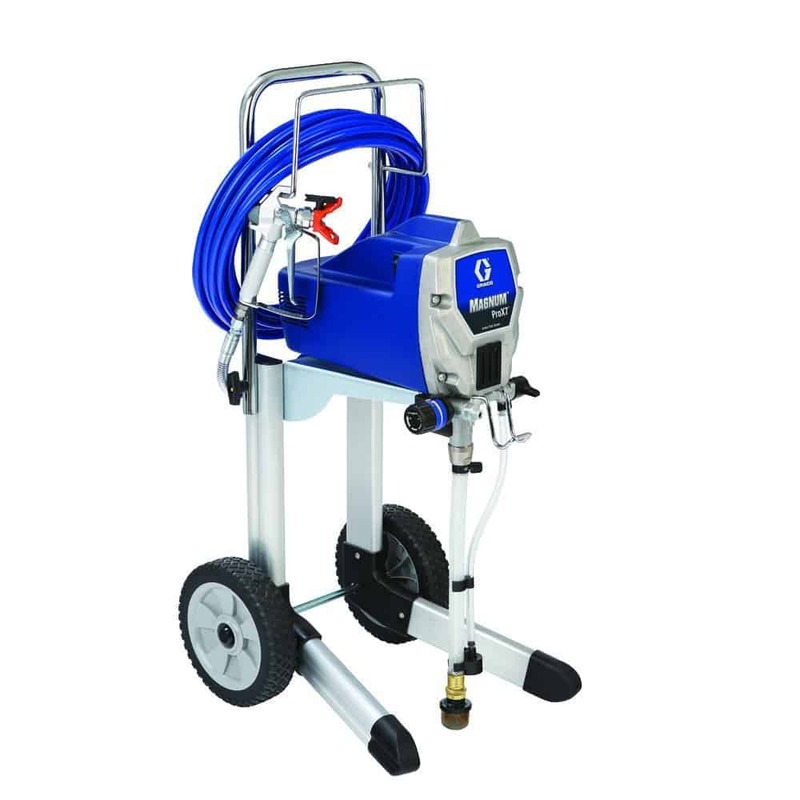 Can be used for multiple purposes– The fact that there is a pressure control system allows you to use this paint sprayer for a variety of different projects. I have used it to paint walls, cabinets, shingles, and more. Efficient– Using this paint sprayer to complete projects increased my efficiency. When you use a paint sprayer that always has to be plugged in, you have to spend time setting up extension cords and plugging it into new jacks. The cordless feature saves you time and allows you to start projects right away. Price – You pay for what you get with this model, especially when purchasing cordless tools. 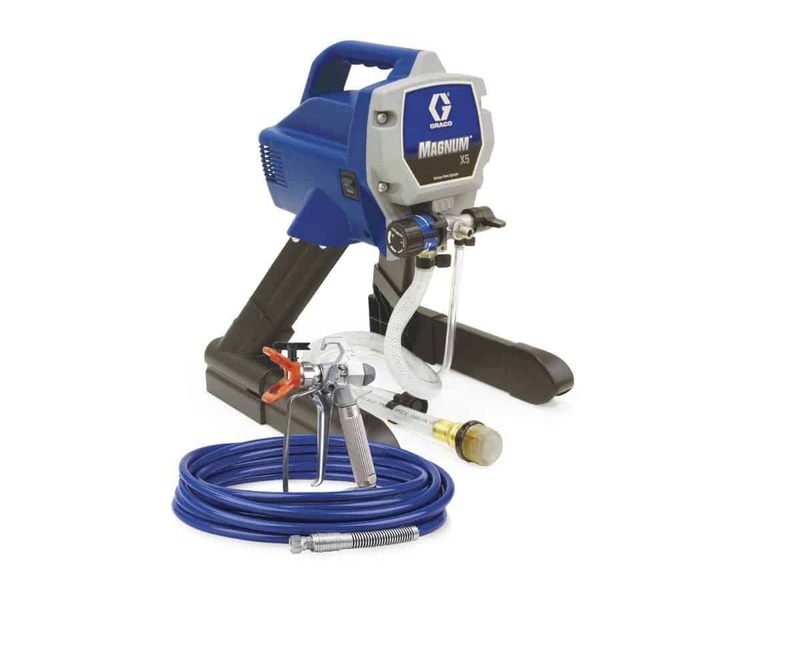 The Graco II Cordless paint sprayer can generally be found for a reasonable price for what you are getting. Take a look below to see what the current pricing is on this item as it changes throughout the season. Overall – I would give this an 8/10 for ease of use and spraying power. I use this model to paint hard to reach areas of ceilings and roofs and find that it does the job. Now that we have looked at some of our favorite economical models, we can dive into my pick for my three favorite paint sprayers. Not only have I used all of these models myself, but I have also worked with others in my industry that will vouch for these models. When doing my paint sprayer research I narrowed my list from about eight models that I liked to my three favorites, here are the results. quality of this paint sprayer and highly recommend it to anyone that is serious about painting and looking to save a ton of time. Over the past 4 years, I have used my Graco X5 to paint my fence, garage, and my neighbor’s home, also various smaller items such as a few motorcycles, iron chairs, wooden furniture, a birdhouse and countless other items. The versatility and the price of the Graco Magnum X5 are what sets it apart from the others. As previously mentioned above, I have picked one of the cheapest paint sprayers as my #2 pick. Despite being about half the cost of the average paint sprayer, I feel that the Wagner Control Spray Max is among the best. This particular model is one of the best ones when it comes to the amount of control that you have. Beginners should always start out with an HVLP model because it offers low pressure and less air. That means that you get more control. 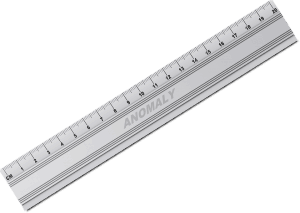 You will find this to be one of the least expensive models out there, but it still offers precision and ease of use. It also has a 20-foot hose, which allows you to extend your reach, and three spray patterns for you to choose from. It is a great choice. Coming in as my #3 choice for the top paint sprayer on the market is the FUJI Gravity HVLP Spray System. I base my choice on using this sprayer with one 4 hour basement spray that I used this sprayer for recently. Despite being my #3 overall sprayer, the Fuji Gravity is the best paint sprayer for latex that I have ever used. If you are one is looking to do a job with latex paint, I highly recommend this spray gun. I helped a friend of mine finish his basement, and he just recently bought this FUJI paint sprayer. I can say that I was pretty impressed with the results. Despite being a novice when it comes to paint spraying, he was able to finish a large section of his basement with great results. When testing this next to the Graco Magnum X5, I see very similar results with little need to do multiple coats with each of these items. I drop this to #3 purely based on the costs compared to the Graco, with most prices of this item I found at or above $400. As you can see, all three of these paint sprayers have their own benefits and advantages. When you take a look at random online reviews, it can sometimes confuse you even more. I guess what it boils down to is which one is going to be the best match for you. You should compare them side by side and choose the one that you like the best. I have done several tests to find the best paint sprayer, and I like to judge it by how well the painted area looks after 1 coat and how many coats that it needs. This can be easily done by renting a couple of different sprayers and testing them on an interior wall that you plan on painting. When choosing the Graco Magnum X5, I took into consideration of the capabilities that this sprayer could do. While it didn’t have the power of the FUJI, the price was about 1/3 of what the FUJI costs. Also, it was versatile enough that I can use it to paint small objects in my garage one day and to paint the side of my house the next. Overall you can’t go wrong with all three of the options, but the Graco’s versatility and reasonable price were why I chose it as the #1 paint sprayer for home use. Before I get started discussing various spraying devices I wanted to go more in depth about the various types of sprayers that I have tested and used and which sprayer that you may need depending on the job at hand. Depending on what you are using your spray gun for is the #1 key to choosing the right sprayer to fit your job. Anyone who has painted with a roller and a paint brush and then switched to a sprayer will immediately feel the difference in not only time but with the look of the paint job. Sprayers are used for all types of jobs and below are just some of the most popular ways that you can use this tool. In the guide below we have divided everything up into sections that make is easier for the user to browse through and read any information that might help them make a good decision. Below I have made an easy to follow the interactive chart that has my top 5 paint sprayers based on particular needs. Using a paint sprayer can require a learning curve if you are new to painting, but it is easy if you use the right technique. While each paint sprayer that you come across is different, a basic steady stroke can be developed to help you with the optimal spray. Check out this post to dive into the right way to use your paint sprayer every time. Like almost any other tool that you will use for a job, there are both good and bad paint sprayers that are sold online and through home improvement stores. Depending on what you are using the sprayer for, it is important to purchase the RIGHT sprayer for your job. Let’s take a look at the most popular types of paint sprayers that are used today. 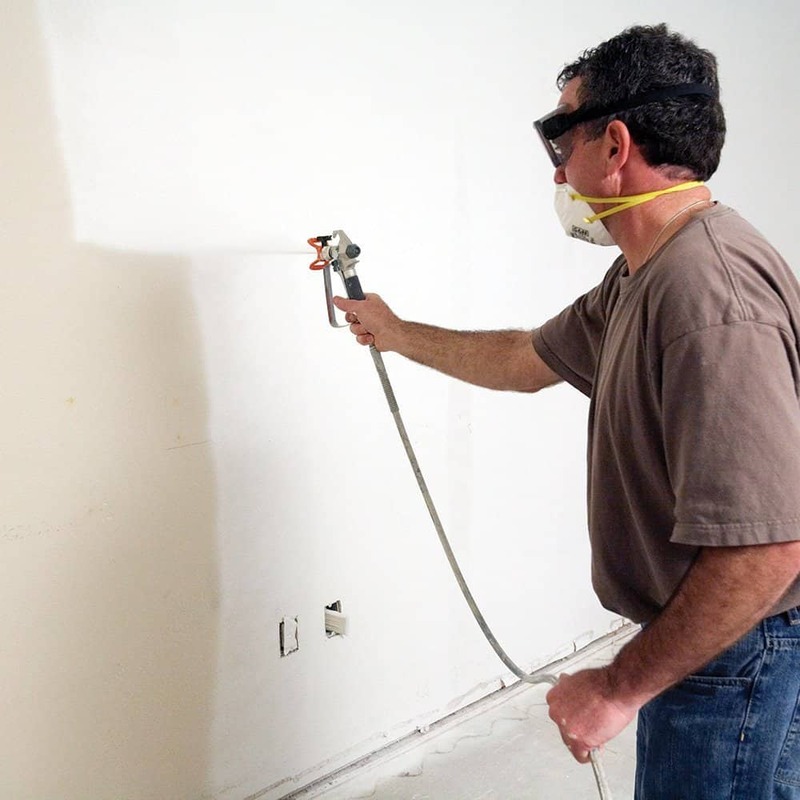 The conventional sprayers use compressed air to help create that smooth finish when you are done with your painting job. Most of the time, the air compressor is built into the unit, but there are some that hook up to an external unit to work. This type is made up of four main sprayer parts which include the paint basin, the air compressor, the nozzle and the trigger. 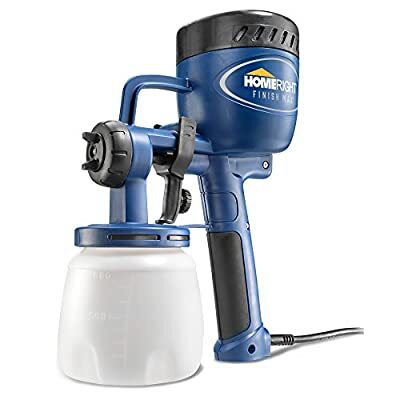 The paint basin is where you put your paint, and you use the nozzle and trigger to spray the paint evenly, and the compressor pushes the paint out of the sprayer. Conventional sprayers are still very popular among many paint contractors and professionals, but many home owners have gone with other types of sprayers due to efficiency and less emission of odor. The HVLP sprayers are much more efficient than the conventional sprayers. They use less air, and a lower pressure, and that means that you use far less paint. Most people find that this type of sprayer offers optimal results for their paint jobs. They also let you adjust the width of your spray, and while this can take a bit for you to master- it is worth it in the end because it can help you shave hours off of your painting time. 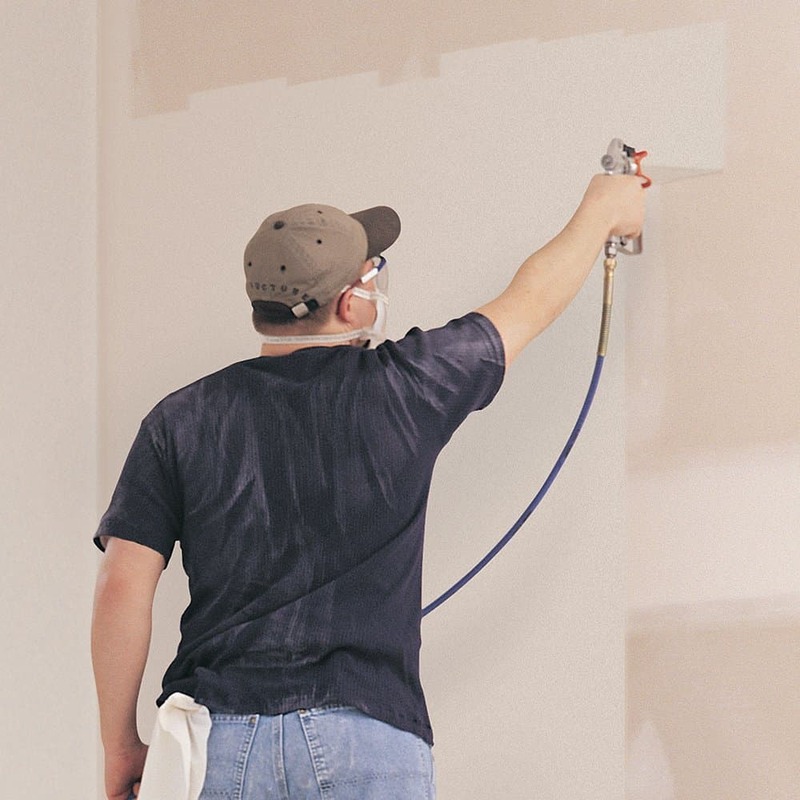 HVLP spray guns are popular choices for those choosing to paint the interior or exterior of their homes and also used frequently by contractors who paint on a daily basis. Airless sprayers are powered by a motor that is either electric or gas powered. They have a lot more power, but they are also extremely high pressure. That means that you can get a thicker coat of paint, and you don’t have to worry about applying many more coats after that. These sprayers are built with sprayer parts much like the conventional and HVLP sprayers, but they have a power source instead of an air supply. Sometimes, they can even be powered by an air compressor, but the air isn’t used to push the paint out of the sprayer. Choosing the right paint sprayer based on your needs is perhaps the most important thing that you must look at before buying a paint sprayer. It is important to get as many unbiased paint sprayer reviews as possible because many companies do a great job at selling an inferior item. There can be a huge difference between buying a paint sprayer to paint a small wooden chair over buying one to paint the side of your home. While some can be used for both, it is best to get one that fits the job that you need or to get one that is good for a number of different jobs. Let’s take a look at what you will look at before choosing the best paint sprayer for your particular needs. If you are looking for the best paint sprayer for your home, then you will surely find that you have a lot of options to choose from. Most people want to find the best paint sprayer that will get the job done right the first time around. After all, no one wants to spend time redoing a paint job that they invested a lot of time into. That is why it is so important to make sure that you are choosing the right type of sprayer. Here are some important factors to look at before making this investment. 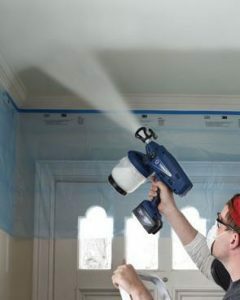 Cordless Paint Sprayers are becoming more popular for home use. one that is new to painting, an HVLP paint sprayer is suggested as it is easiest to use. If you have a ton of experience, you may choose to use a more expensive model. Many people love to use cordless paint sprayers as they feel that they can get hard to reach places done much easier without the hassle of needing electricity or a cord dangling down. 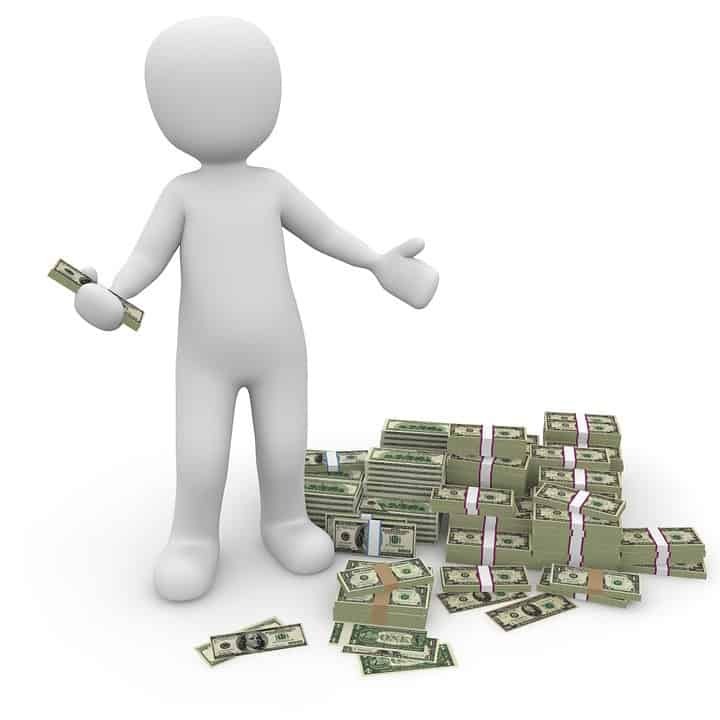 The first thing that you will want to do is consider the costs of your paint sprayer. Some of the best paint sprayers on the market will be very expensive, but the truth is that not everyone has a lot of money to invest in a sprayer. If this is your case, then you will be glad to know that there are some that are affordable that will not break your bank but will still offer you a very good paint job. The key is to search high and low, and consider everything before you make a purchase. Before buying any spray gun, I will do various online reviews and talk to anyone I know in the industry that may have used a particular sprayer. 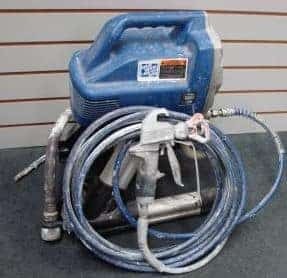 Below we will have some more look at some quality inexpensive paint sprayers that can usually be found for a less than $200 and what to look for before making a final decision. Another thing that you will want to look for is the quality of the paint sprayer. The best paint sprayer will be made with the highest quality standards in mind. It will be made of high-quality sprayer parts and also have a high-quality spraying mechanism. This is what ensures that your sprayer can produce the best paint job possible. You don’t want to opt for a no-name brand that won’t offer the quality that you need. Graco, Wagner and Binks Paint Sprayers are some of the best-made sprayers, and each makes a model that should fit your needs. Each of these companies makes several different types of sprayers, some good and some not so good, so it is important to evaluate each sprayer based on what you will be using it for and what your budget will be. Finally, consider the additional uses for your paint sprayer. Some of the best paint sprayers will have multiple uses. Some will even be able to do texturing, but these are usually the more expensive models. Then, you have the ones that work with all types of paint, including thick latex paint, and thin lacquers and stains. The more versatile your sprayer, the better off you will be if you are investing in a sprayer to keep for multiple jobs. So, what is the best airless paint sprayer? Have you made a list of items that would make your projects much quicker and efficient to finish? The airless sprayer is a one time investment that would keep generating savings over your lifetime. When it all comes down to it, you just need to do some quality research about the different brand names of sprayers on the market. You will then be able to determine which one will work the best for you. There are some that are more affordable than others, but the price shouldn’t be the only concern on your list. It should only play a small role in your decision. After all, if you choose one that is really cheap, you may get a really cheap paint job that doesn’t look great. That doesn’t mean that you should get the most expensive and expect the best paint job in the world. It still takes a great deal of skill to provide a good paint job, even with an excellent sprayer. As a professional painter with experience, I have seen $150 automotive paint guns work better than $500 guns and vice versa. In the “pre-internet” days we would buy based on recommendations from friends and others in the industry, now it is much easier to make good decisions and price shop online. Thank you for reading, and I hope that the information above gives you enough knowledge on making a decision to purchase a paint sprayer. Feel free to contact me if you would like any more insight on picking the right sprayer for your job.